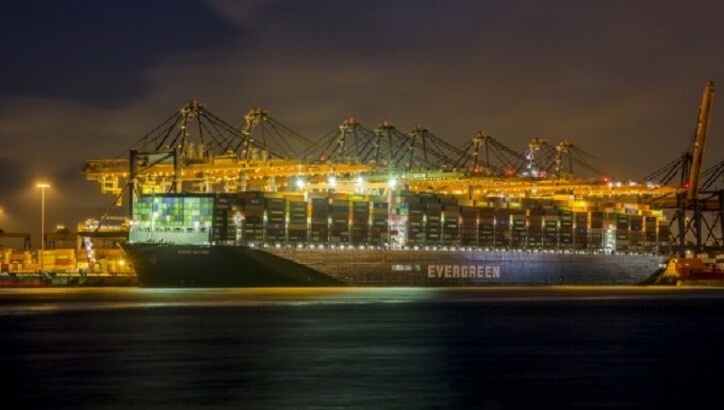 Hutchison Ports ECT Rotterdam (ECT) welcomes the EVER Gifted from container shipping line Evergreen on her maiden call. The vessel, with a capacity of around 20,000 TEU, makes its first roundtrip from Asia. Rotterdam is the first European port of call. The EVER Gifted is handled at the ECT Euromax terminal, with an 8-crane operation. On this trip, the vessel will bring 6,000 import containers to Rotterdam via ECT. On the way back, after a visit to Hamburg and Felixstowe, the EVER Gifted will call at the ECT Delta to load 6,000 export containers.